New report calls for the UK government to appoint a chief blockchain officer. A new report from conservative MP Eddie Hughes calls on the UK government to appoint a public-facing chief blockchain officer to help coordinate the country's efforts to apply the technology to public services and data. The report, titled 'Unlocking Blockchain' also proposes that government departments should have a 'long-term target' when it comes to using blockchain and other emerging technologies to make a one per cent efficiency saving. Hughes also suggests that the UK host an international blockchain competition to help drive entrepreneurship and lure the industry's top talent to the country. The event could even be funded by businesses set to benefit from improved national technological standards. Blockchain and associated technologies are also putting pressure on the government to review and redesign the country's data systems. The report claims that Whitehall and the UK's public services could be revamped to help better serve and empower citizens. 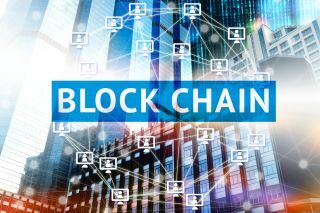 Other countries are exploring new ways to use blockchain in the public sector with Sweden predicted to save more than $100m each year through the use of blockchain technologies in land registries. Blockchain is also well suited to the public sector as it reduces paperwork and aids in eliminating fraud. While blockchain technology was once synonymous with the finance industry and cryptocurrency, it is becoming clear that the technology could play a huge role in public administration.